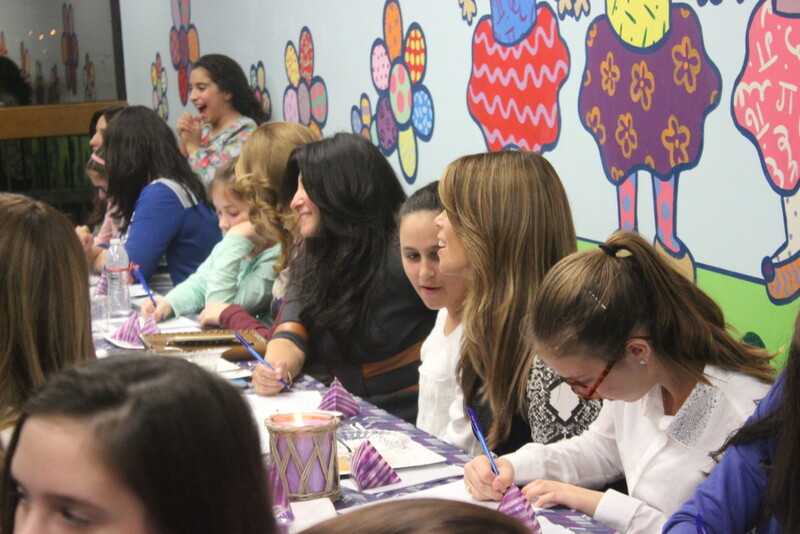 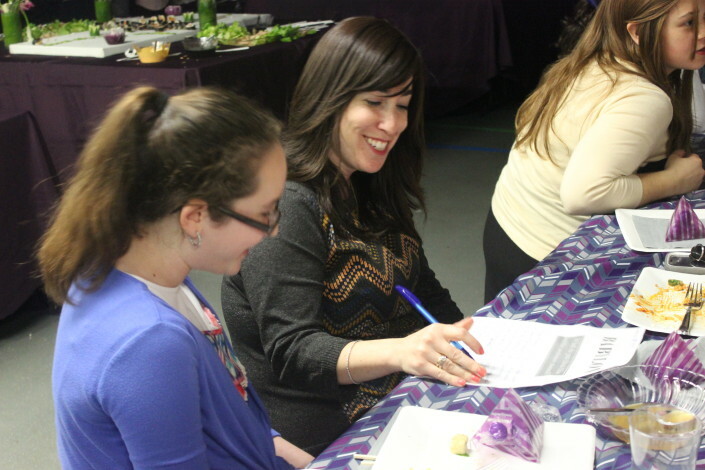 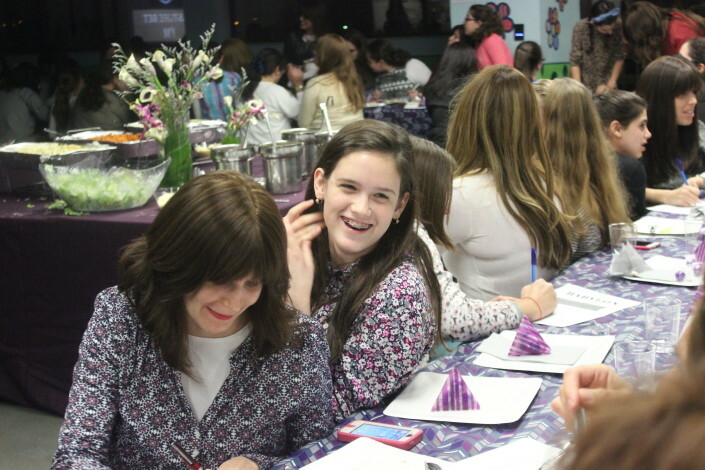 You are here: Home / News / Bnos Chabad / Evening Out! 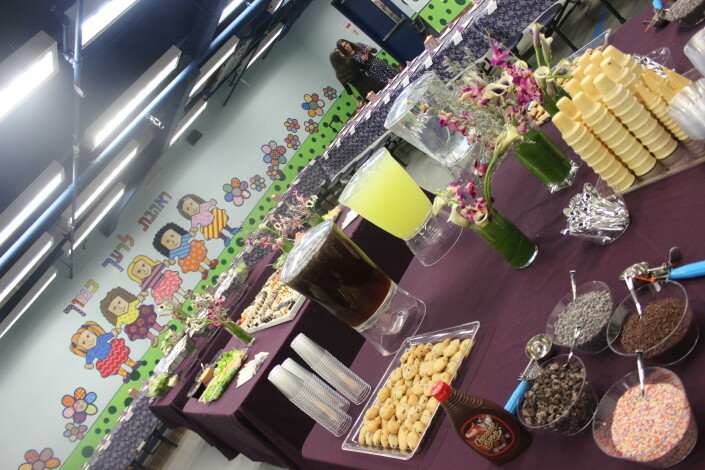 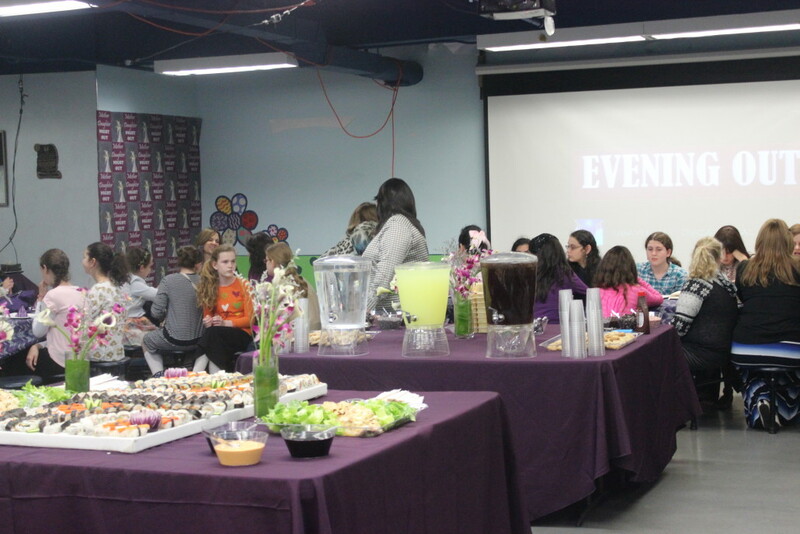 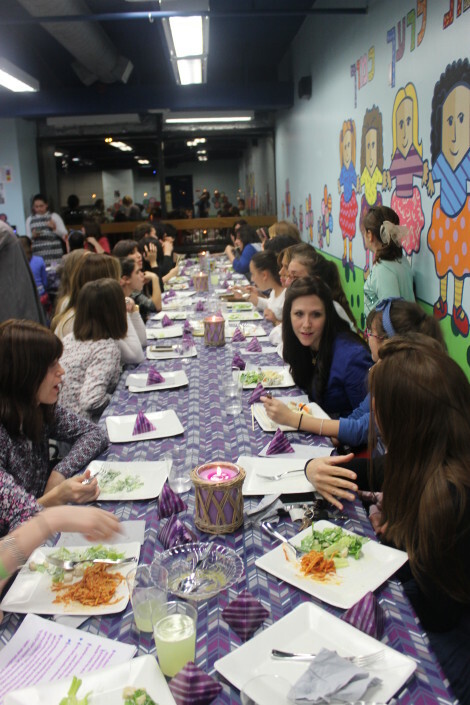 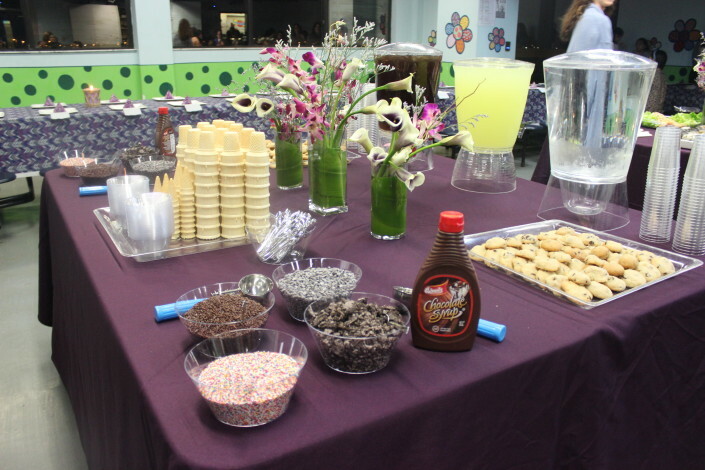 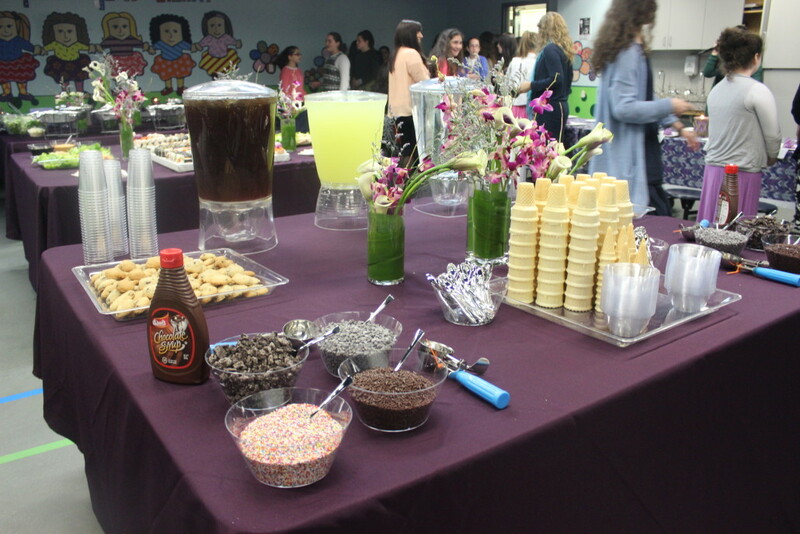 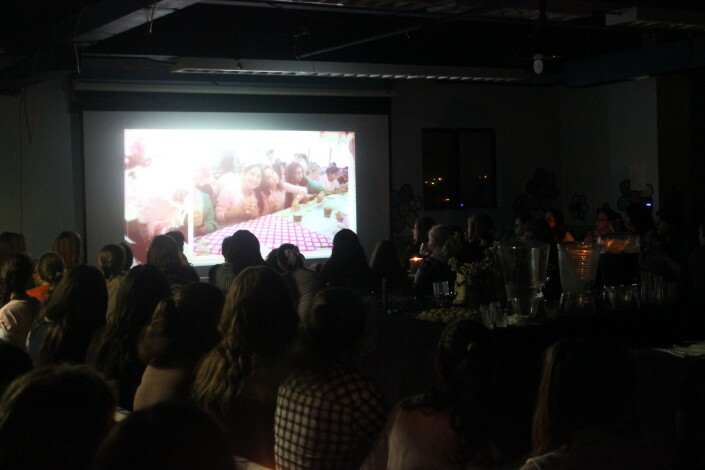 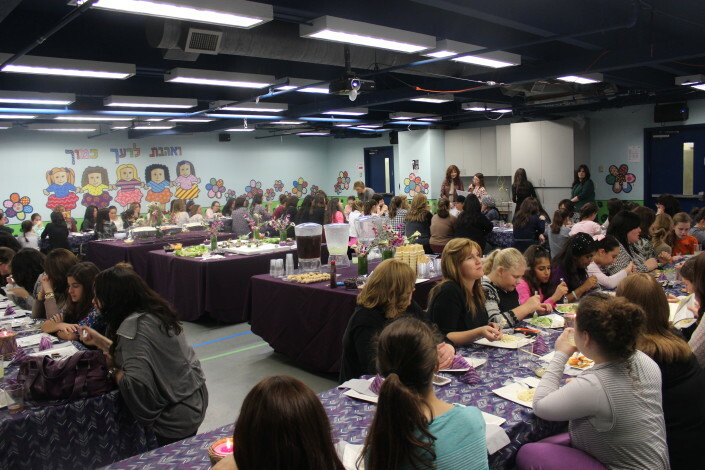 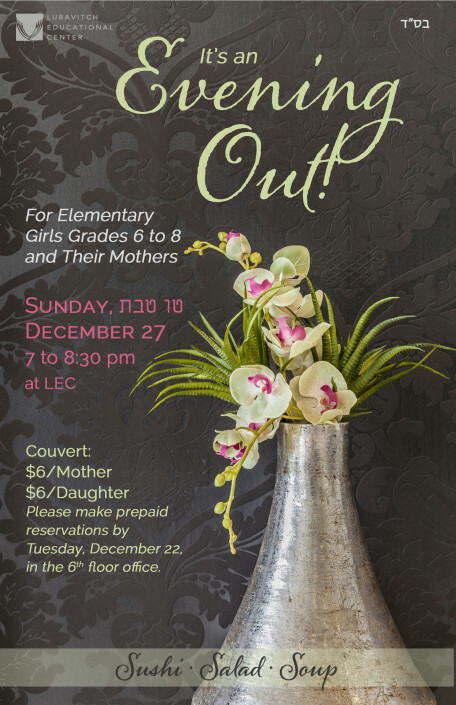 “Evening Out!” was the theme of this year’s get-together for the 6th, 7th and 8th grade Elementary School girls, their mothers and teachers. 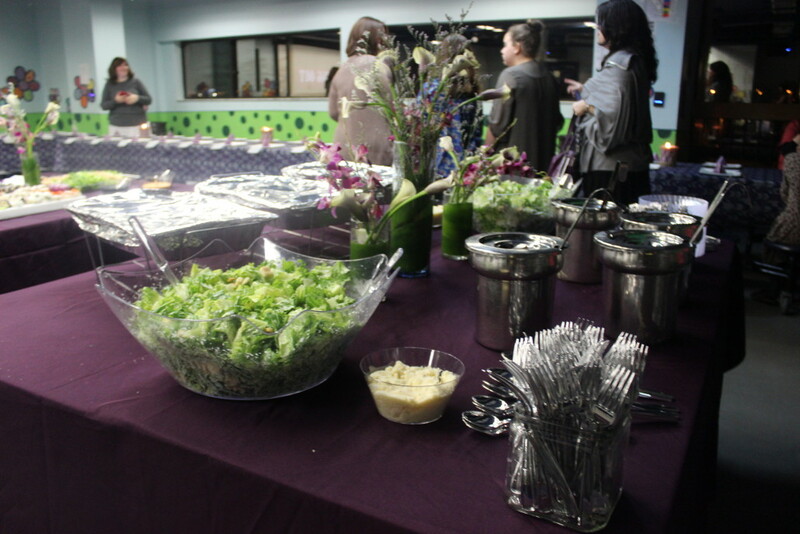 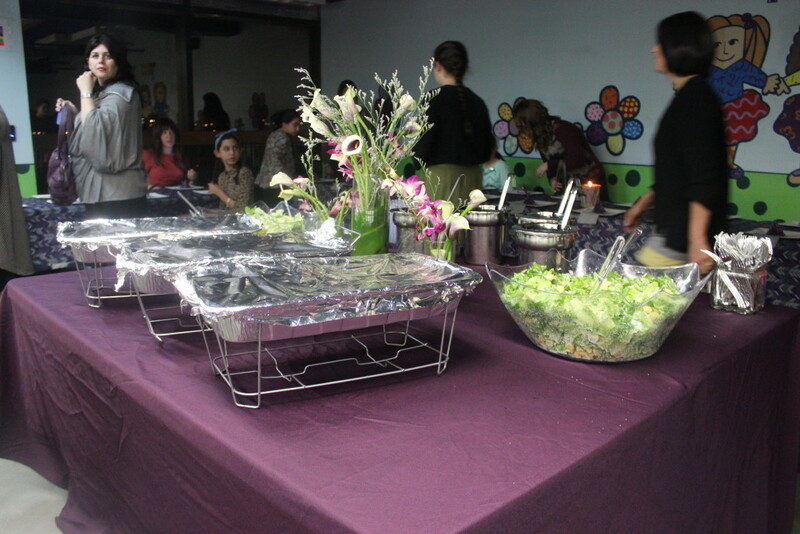 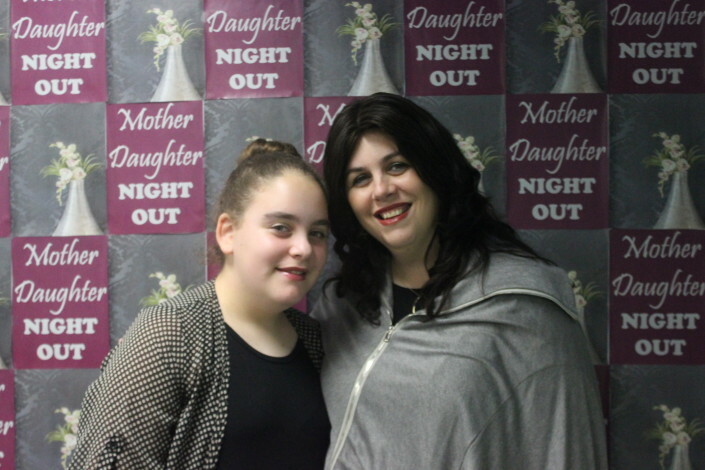 As the theme suggests, everything about the event was like a special outing with family and friends. 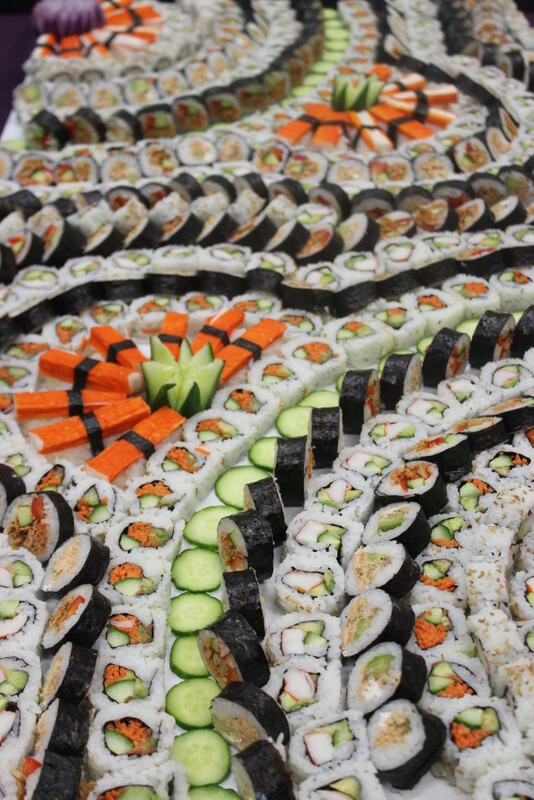 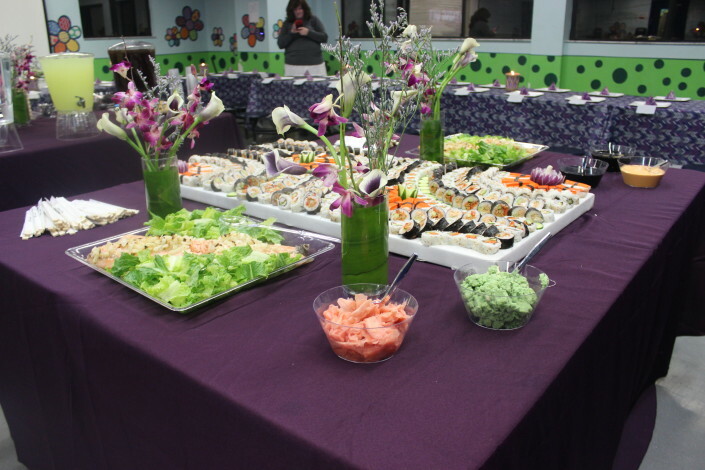 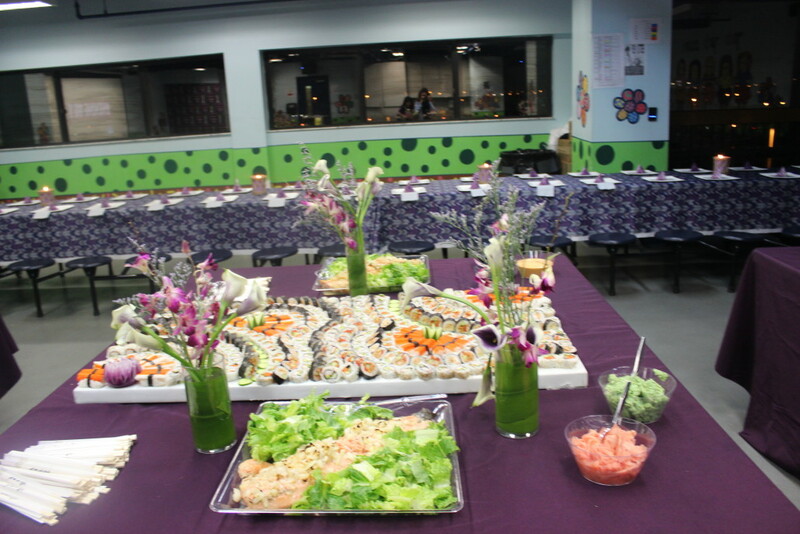 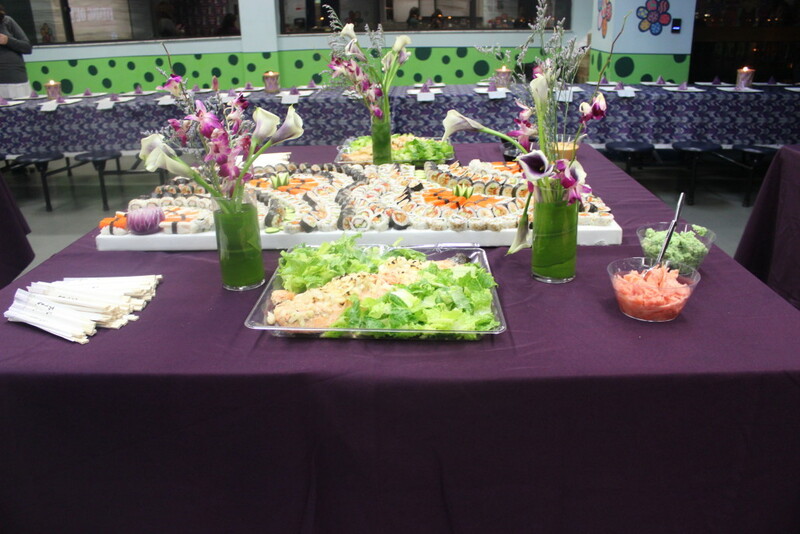 Starting with the beautifully decorated room and carefully laid out display of sushi, pasta, salads, soup and salmon, the guests felt that they were out for a very special evening. 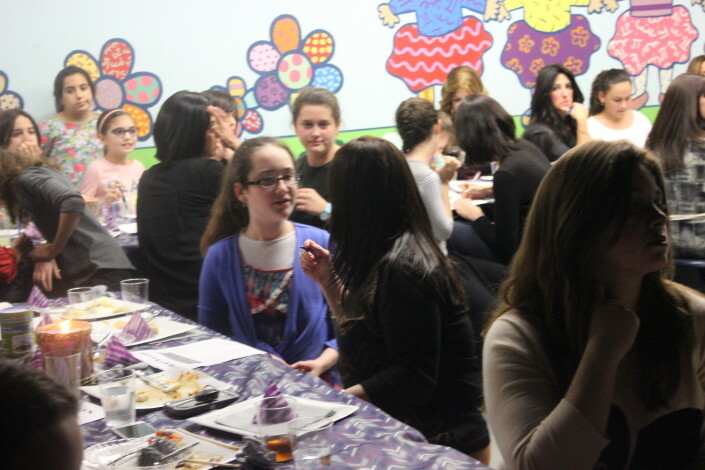 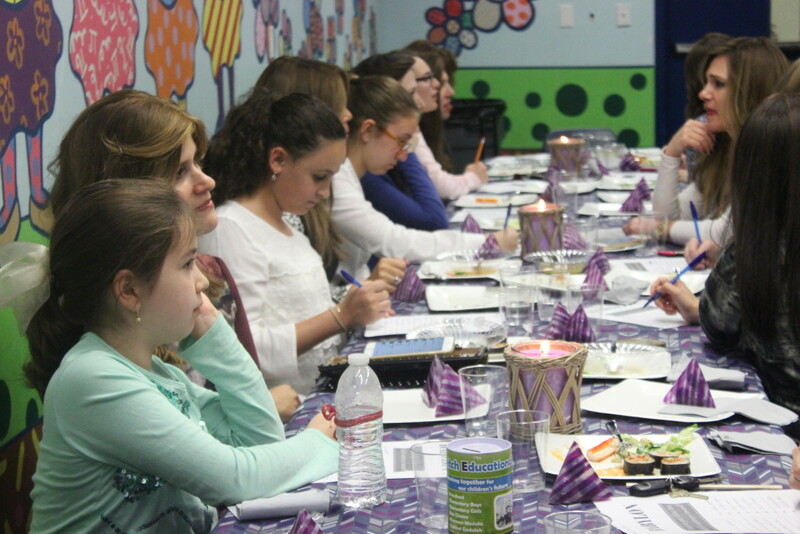 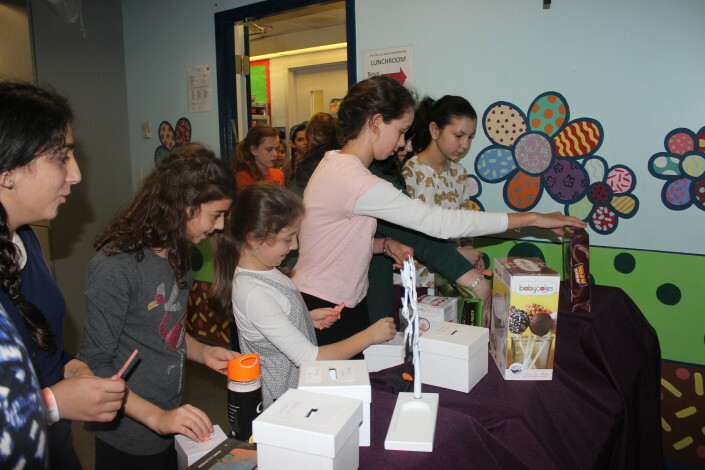 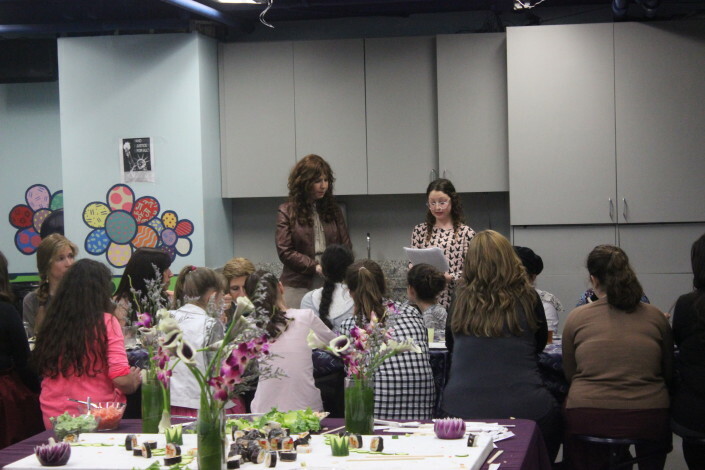 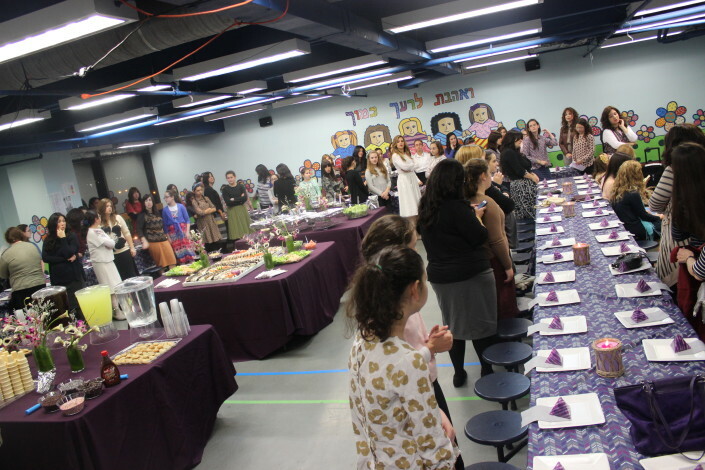 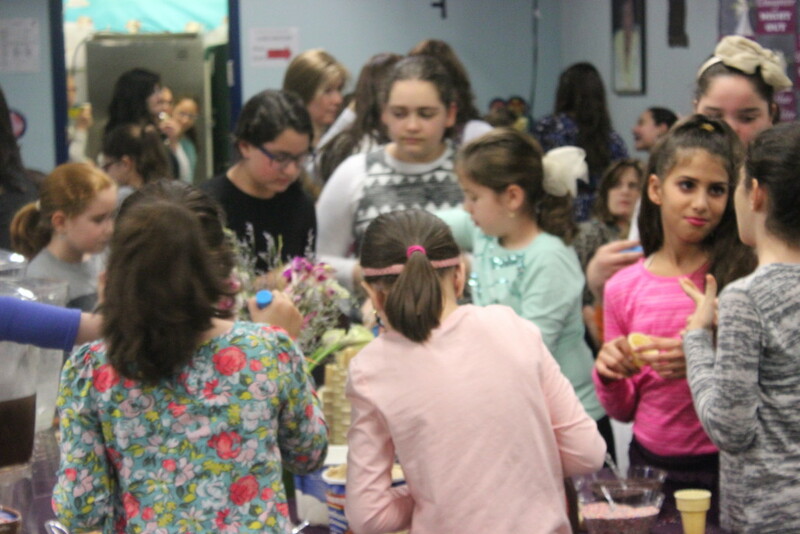 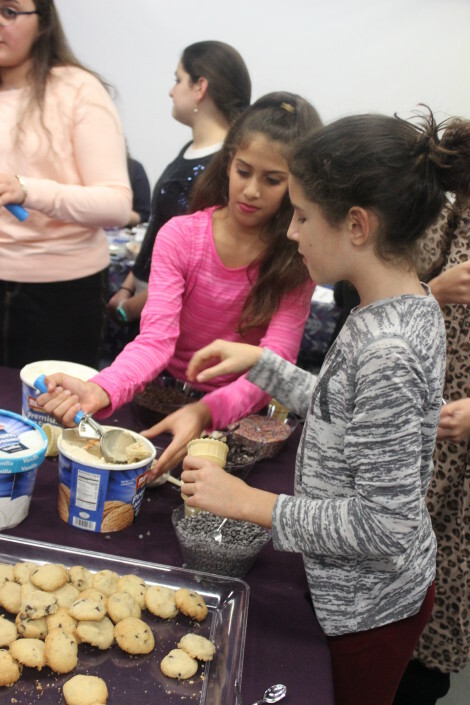 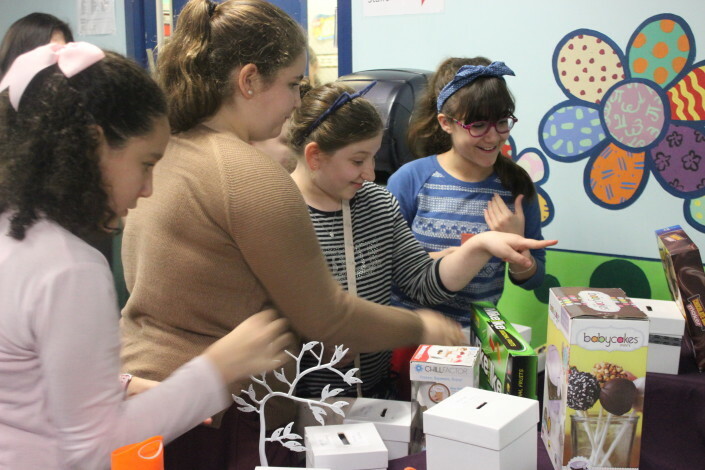 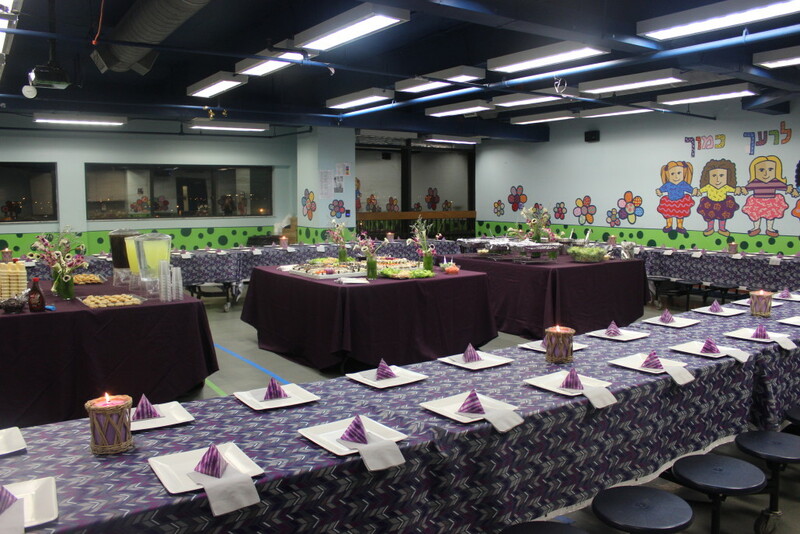 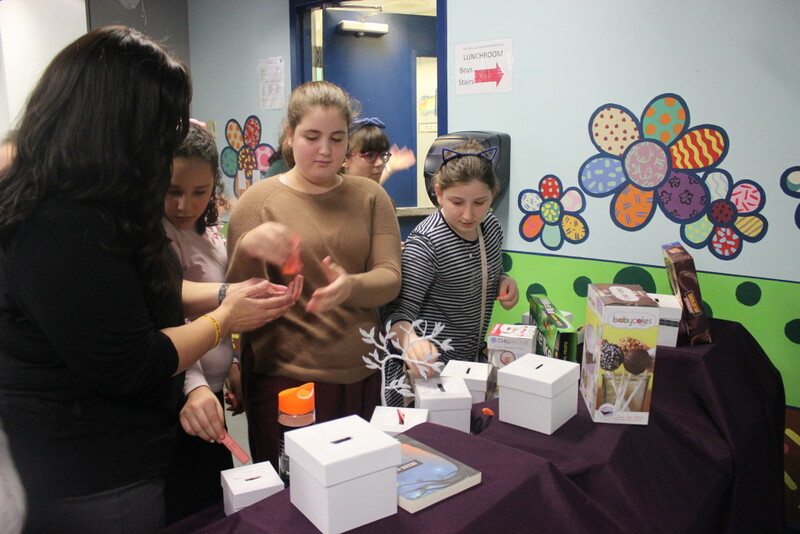 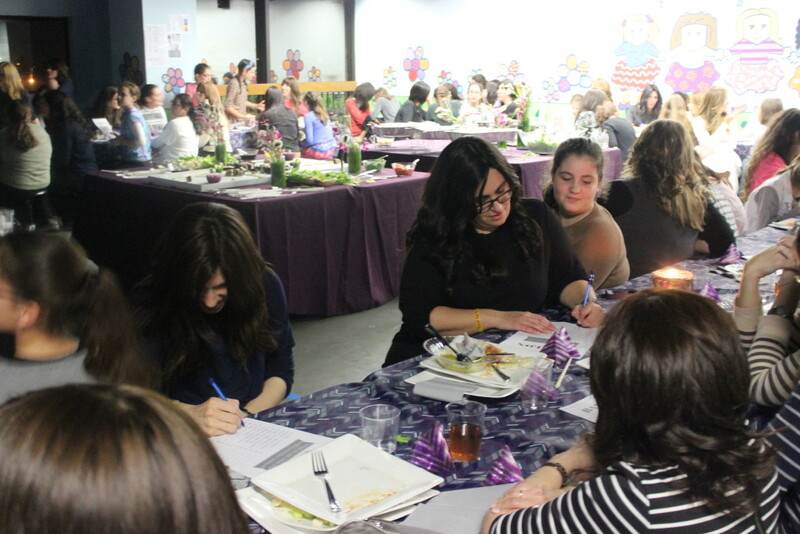 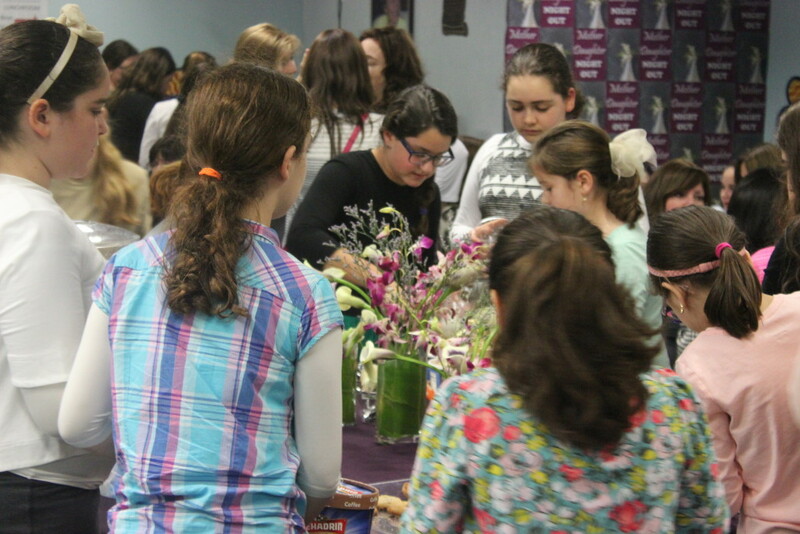 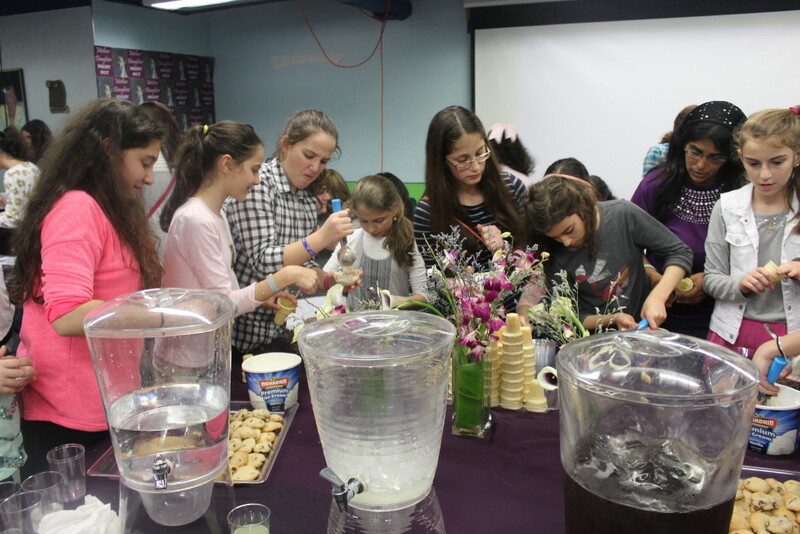 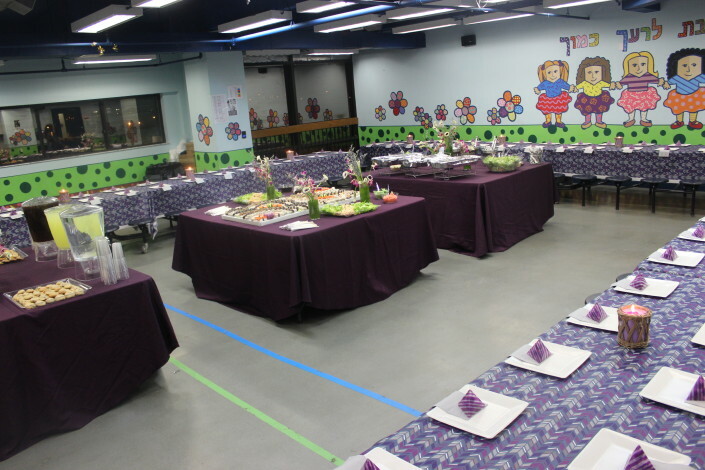 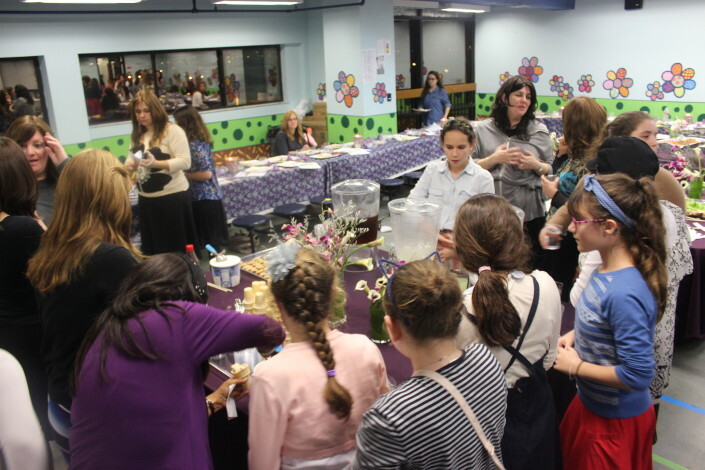 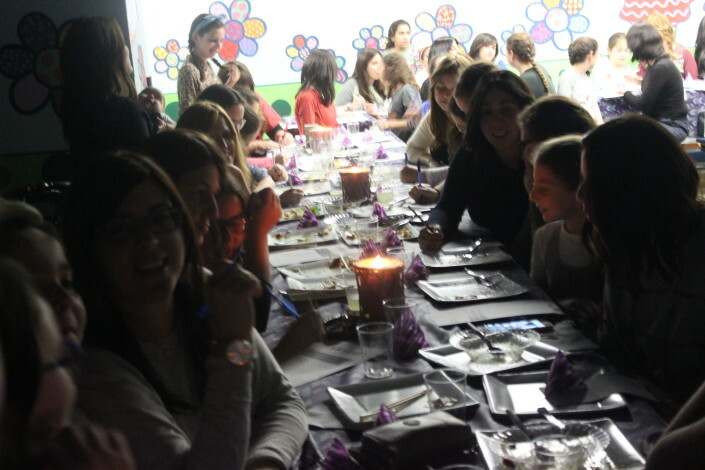 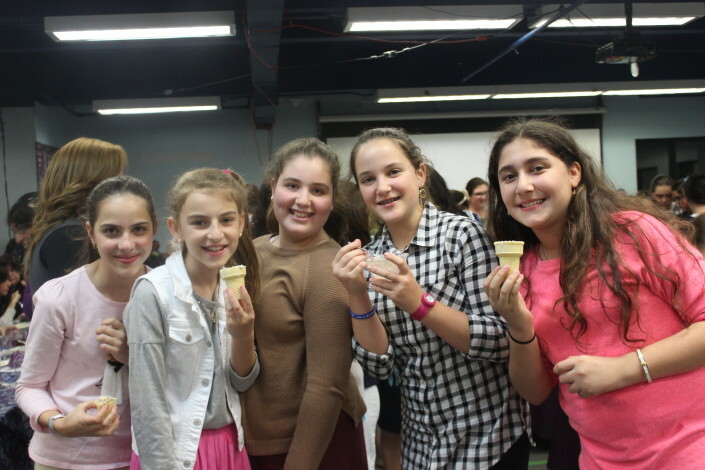 Organized by the Elementary School Girls’ Bnos leaders Chani Dalfin, Mushka Mann and Esther Zucker, the program was at the same time elegant and fun. 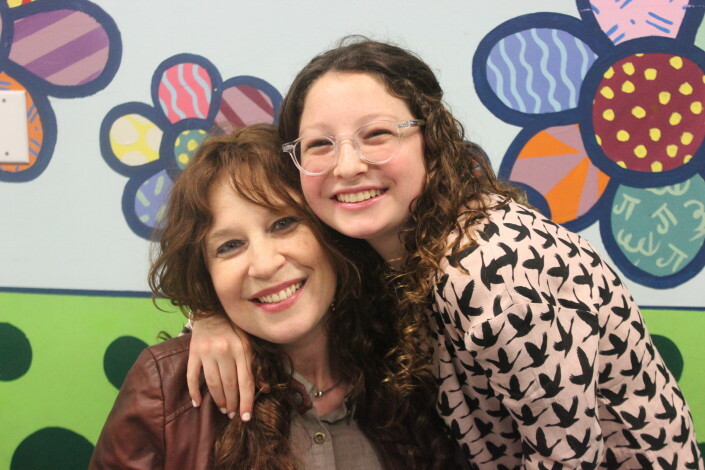 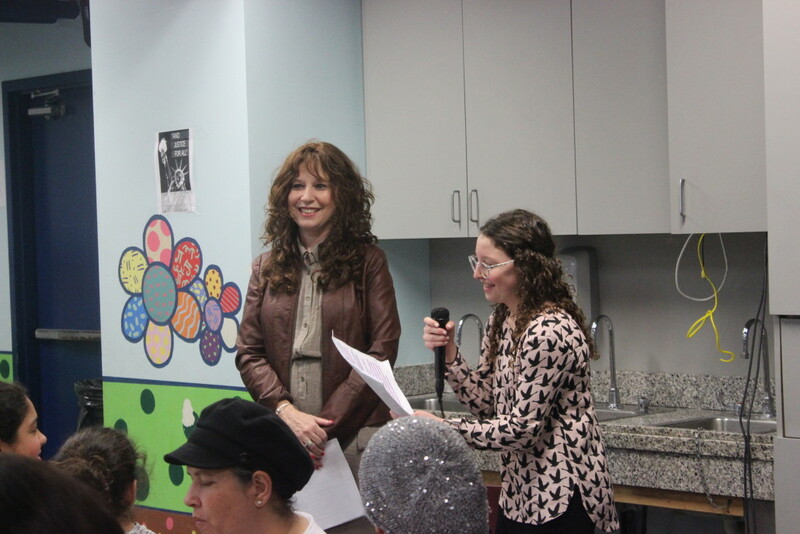 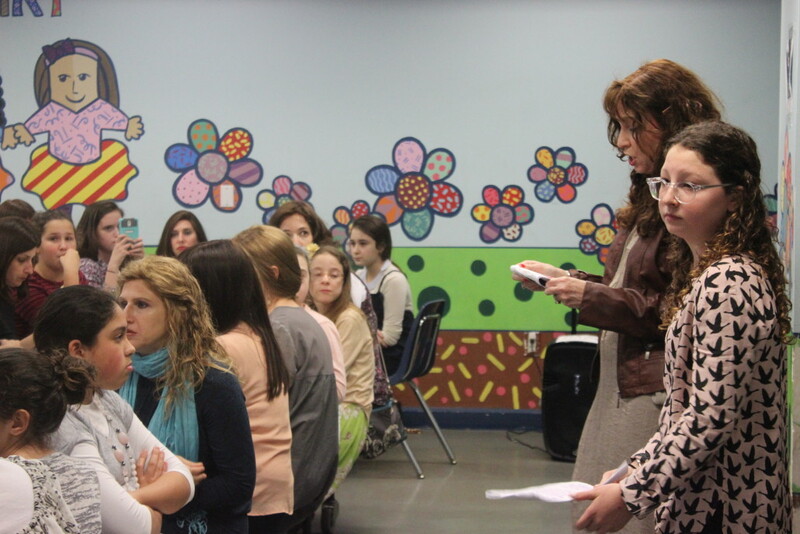 Parent and shlucha, Mrs. Tzippy Weiss welcomed everyone with a dvar Torah, together with her 8th grade daughter Nechama. 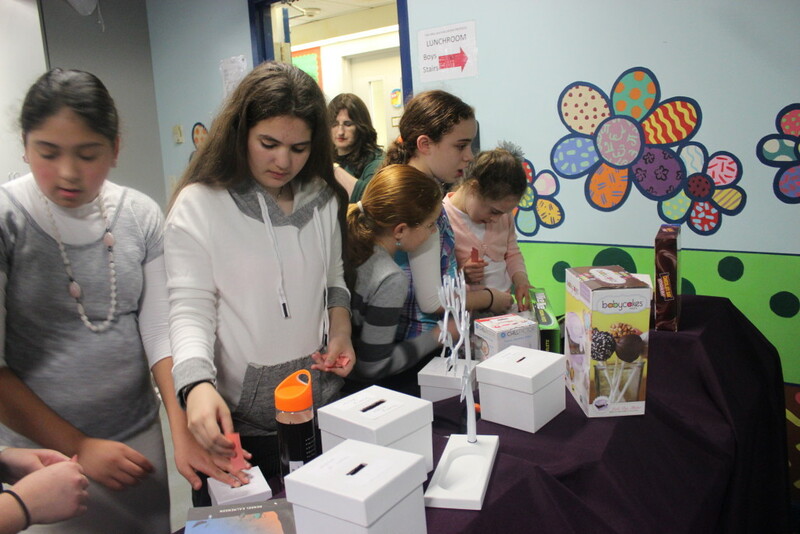 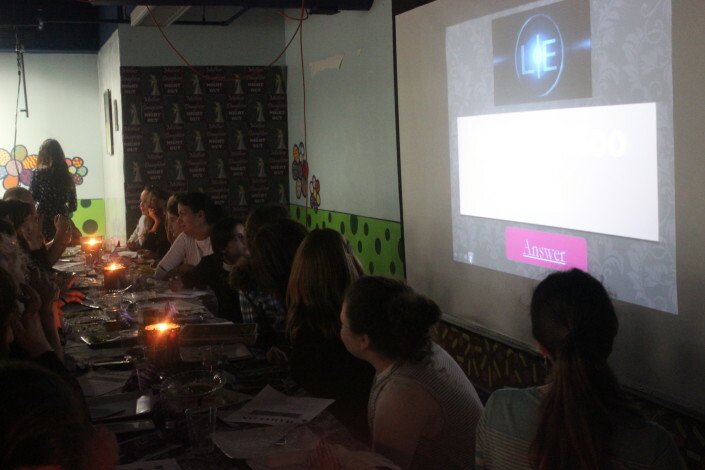 In addition to the delicious meal, the evening included a game at which students could earn tickets for an auction that was held at the end of the evening.